Animal Kingdom: The Healthiest Park? For those who do not know, I am a Disney-holic. My husband and I have annual passes, and we are at one of the four Orlando-based Disney theme parks every weekend. And, most times, we go more than one day. Theme parks are not normally known as the mecca of healthy options, and everyone knows I am a sucker for sweets, but I’m thrilled to report that Animal Kingdom might be one of the healthiest options for any local or tourist looking to stick to their diet. My reasons? The park is mostly outdoor, and spans THOUSANDS of acres. You can easily log 6-7 miles of walking even during a short visit, and can go much longer than that if you take advantage of the HIKING TREK adventure offered in Africa’s Kilimanjaro Safari tours. It’s almost six hours of backpacking through their habitats! 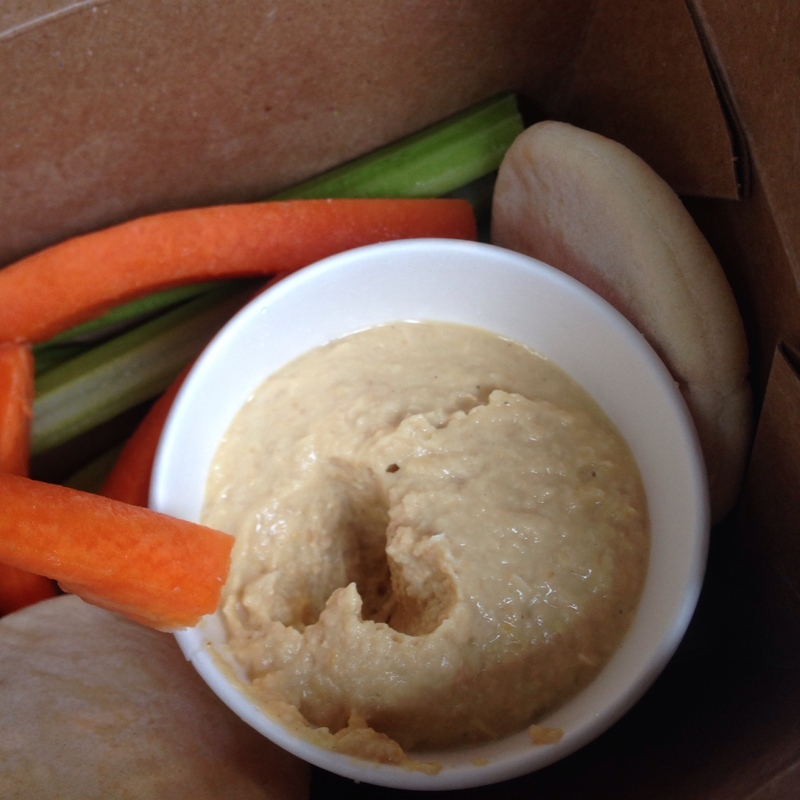 TWO: healthy food options are everywhere! Not only do they have stands dedicated to gluten-free menus, but even the regular food options are pretty healthy. 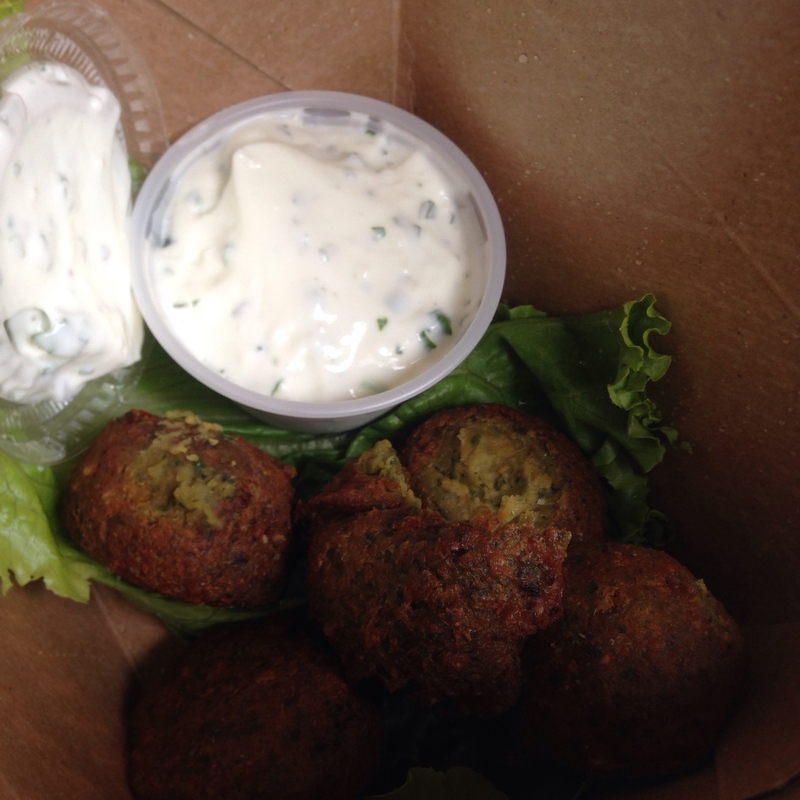 We found hummus with veggies at one stand, and falafel balls (fried, yes, but mostly healthy) with fresh tzatziki sauce! I wanted to eat all of these myself, but I begrudgingly shared with my husband. The new Harambe Market features tons of new options, which are mostly grilled chicken, beef, and sausages! It took me a while to find an unhealthy option at the park, and I was happy to see very few patrons were dining there on a beautiful Florida day. The weather in Florida is scorching in the summer, and most Disney parks have primarily indoor attractions to keep you cool, but not at Animal Kingdom! Most of the Animal Kingdom attractions are outside, so you’re sweating like a fiend. I’m not sure about you, but I absolutely lose my appetite when I’m hot. So I nearly forgot about eating lunch at the park, and it wasn’t until a quick summer shower forced us into the stores around 2pm that I remembered about sneaking in a meal! While I’ll never stop loving Magic Kingdom, Epcot, and Hollywood Studios, Animal Kingdom may have stolen my heart as the place to go when I don’t feel like splurging on my diet AND want to see some gorgeous animals. On that note… bon appetit, my friends! Valhalla Bakery – The Real Trip to Heaven! Let me preface this post by saying immediately: THE CAKE MENTIONED IS NOT PALEO, nor is it any way diet-friendly, which is why I absolutely loved it. As I’ve said on here many times, I’m trying to learn to be less obsessive about my relationship with food, and with that comes a leniency –no, a revelation and enjoyment– of the occasional splurge. This post is about one of those splurges. Back in April, I attended the Florida Film Festival opening night party, which featured booze, decadent food, and the talented film elite of Central Florida. While there, I discovered a vendor passing out TO-DIE-FOR cupcakes, and made a mental note to look her up on Facebook later to commission a cake from her. True to my word, I searched for her the very next day – April 10th – and immediately asked what steps I needed to take to secure a delicious, heavenly scumptoid for a holiday get together. Valhalla Bakery Inc., run by the coolest tattoo-covered, blue-hair sporting woman I’ve ever met, truly lives up to its name. 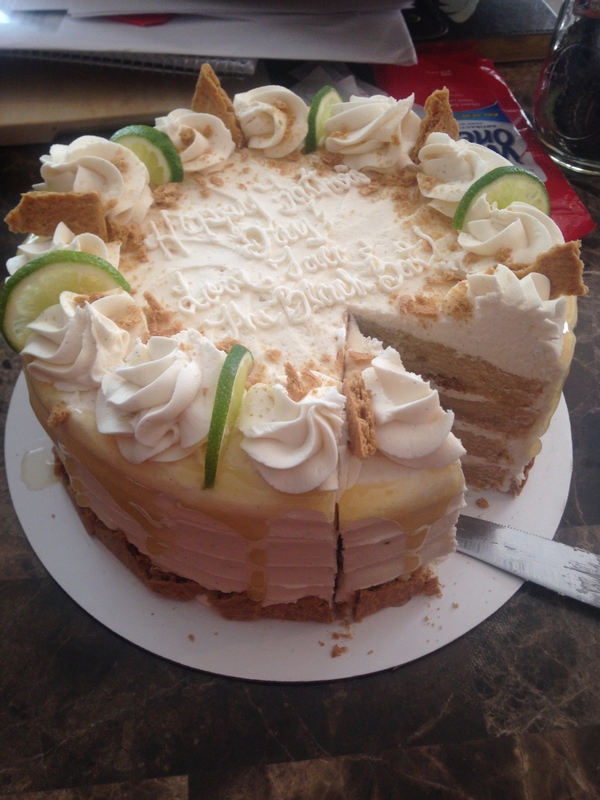 Since both my husband and I LOVE key lime pie, I ordered a custom Key Lime Pie Cake for Father’s Day. Now, I don’t *technically* have kids with my husband (yet), but we do have two fur-babies, and I considered Father’s Day to be the closest acceptable holiday to show up with a cake, since there was NO WAY I could hold out until my birthday in July. In case you can’t read it, it says: “Happy Father’s Day! Love Taco & The Black Bat!” The baker cracked up when I placed the order. What can I say? We love our doggies. Dear God… it’s beautiful. It truly is Valhalla! I can’t begin to accurately describe how wonderful this cake is. 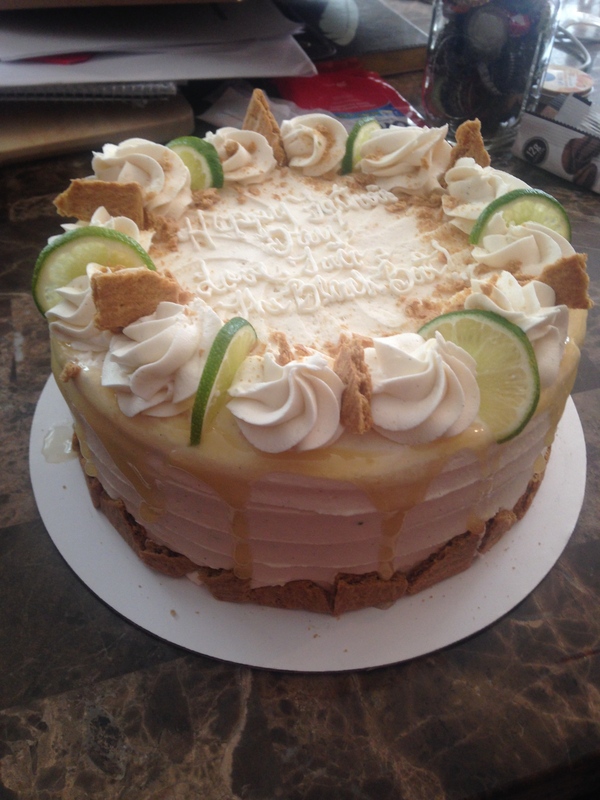 Layers of moist cake (thicker than normal cake; it actually tastes like the crust of a real key lime pie, but extra thick), sweet cream icing, and a heavenly glaze of key lime deliciousness (honey based, I think?) that made it downright sinful. 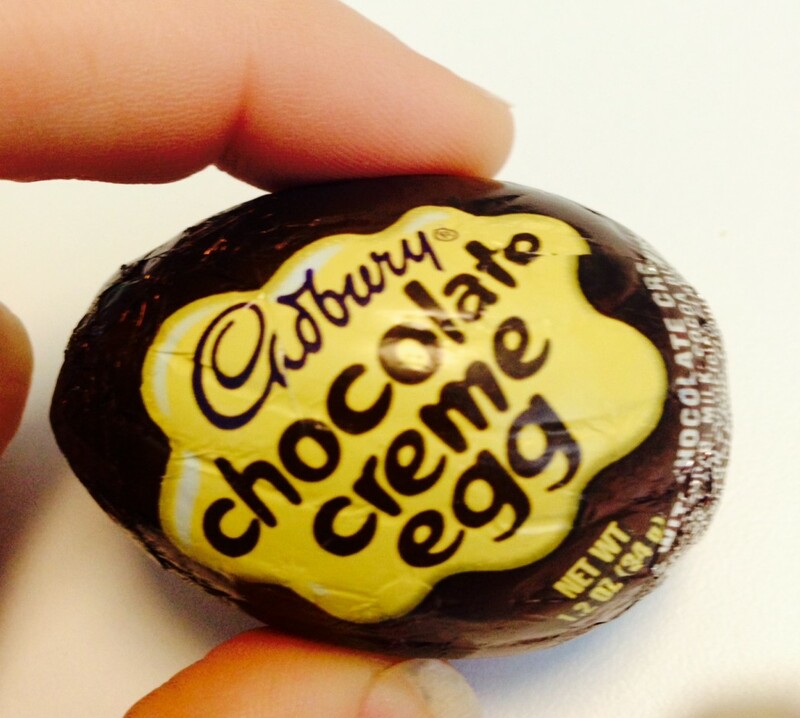 I didn’t ask about calorie-content or worry about how many miles I’d have to run to burn it off. For anyone that knows me, it’s pretty obvious that I have a sweet tooth. I can eat, and eat, and eat sugars all day long. I normally try to satiate the craving with a spoonful of almond butter (except I have to avoid Maranatha’s Caramel Almond butter, because it’s so good, I can’t control myself), but it normally doesn’t cut the craving for candy. 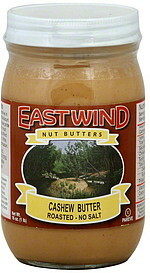 And then I discovered Eastwind Cashew Butter. Now, I’ve never been a huge fan of cashews – they’re normally the last nuts I pick out of the deluxe mix, once the pecans and walnuts are gone – but I’ve always thought they were just so-so. Until today. This cashew butter is amazing. Buttery, creamy, slightly sweet …but there’s no sugar or salt added. It’s like a miracle in a jar. I can’t stop eating it. I reached in for a spoon, and had to have my husband pry the jar out of my hands after I’d polished off my fourth serving. And for 210 calories per serving, I *needed* that jar taken away. I’m already salivating at the thought of what I can do with this cashew butter. Mixing it into sauces, baking with it, smearing it all over a paleo waffle or toast. YUMMMMM. I strongly suggest picking up a jar if you want to experience a low carb taste of heaven – but make sure you have someone who will rip it out of your hands when you realize you’re spooning it out from the jar with your fingers like a wild animal! As anyone that follow this blog knows, I’m normally very skeptical about fad diets, miracle weight loss plans, or anything promising quick results. I scoff at juice cleanses (really, why remove the FIBER from a fruit/veggie? that’s what keeps you full!) and I can’t STAND when I find out friends have signed up to be distributors of shakes, pills, or It Works! body wraps. I still continue to love these people, of course, but I *might* find myself hiding their incessant posts on social media, to be honest. I’ve learned through over 14 years of struggling with my body image that there is NO SUCH THING AS A MIRACLE CURE. You have to work out consistently. You have to eat right. You have to exercise moderation and self-control. You have to make a lifestyle change. A pill will not go to the gym for you. A body wrap will not cancel out loaded chili cheese fries. I’m sorry, but it’s the truth. I have been focusing on a holistic approach to my health lately, aiming not to weigh myself/take measurements and just focus on eating clean, working out, and recognizing how I feel each day, versus how I look, and it’s been working for me. Clothing has gotten looser, and I’m starting to regain my normal energy and tenacity. I go to the gym because I love how it makes me feel, not because I’m punishing myself for gaining a pound the day before. Despite my skeptic nature, I have heard a lot of buzz about infrared body wraps, which use infrared (heat) technology to penetrate the skin and actually burn through the layers of visceral fat, and I’ve found myself curious to try them out. From what I read, you literally burn calories — anywhere from 900 to 1400 — during a session (which lasts approximately 60 minutes) and the wrap allows you to target specific problem areas on the body. As someone who has lost more than 80 lbs, I’ve got some problem areas I’d like to spot-reduce, so I was intrigued. But, as someone who has lost 80+ pounds, I also know burning 1000+ calories is NEVER as easy as just laying on a sterile table and baking under a lamp… right? I did more online research and finally decided the science had merit, and that an infrared wrap sounded like it could be a legitimate booster to (and not a replacement for) my current exercise and nutrition plan. As a worst case scenario, it sounded like it would be a relaxing experience (who wouldn’t like to be swaddled in warm blankets and take a nap for an hour in a spa-setting), so I decided to give it a shot. I called around and finally decided on a clinic called HLC Wellness in Lake Mary, FL, which is a medical spa that specializes in helping those who’ve lost weight and struggle with excess skin and/or those individuals looking to enhance their regime. I had the opportunity to speak to the owner, Mark, both before and after having an infrared wrap, and I definitely felt more confident about my experiment. He assured me that one wrap won’t be a miracle cure for my fat, no more than one workout at the gym won’t incinerate all the weight on my body. He was straightforward and honest, stating that the infrared light increases core metabolism (which, technically, metabolism is the heat at which your body is running, so this makes sense), and that the result is a higher burn of calories. He pointed out that the people that see the best results from the infrared wraps, along with all the other services the clinic provides, are those that are participating in their health — working out and exercising — versus those that come in for a wrap and celebrate their “hard work” with a pizza when they leave. He wasn’t preaching miracles: he was acknowledging the real effort that goes into fitness and health, and I appreciated his honesty. Unlike other gimmicky wraps, I didn’t have to strip to my undies and get slathered in something sticky, stinky, or otherwise uncomfortable. i was encouraged to wear sweats and a t-shirt, and no mystery lotions were coerced upon me to “enhance” the effects. A really nice technician wrapped me up in the laser bands, which, for lack of a better explanation, looked like rubber hoses flattened by a tank (Wiley Coyote style! ), and she explained that it will be warm, so to let her know if I felt uncomfortable at any time. She put John Mayer on the radio for me (yay, no drowsy spa music!) and turned the lights low so I could either nap or relax. Sort of like a plastic mummy in a rave? Ha! They took measurements before and after, measuring my chest, ribcage, waist, hips, and buttocks. I forgot to ask what my before measurements were, but after 50 minutes in the infrared wrap – which never got uncomfortably hot and was actually quite relaxing – my rib cage went down 1/2 an inch, my waist went down 2 inches (whoa! ), my hips went down 1.5 inches, and my buttocks went down 2 inches. I never felt dehydrated, and despite what I was expecting, I wasn’t super sweaty when the wrap ended. I was able to cool off with a moist towelette and dress without any discomfort. As anyone that works out consistently knows, you feel your workout for hours later. The fatigue in your muscles, the slight soreness, and the overall boost of oxytocin and serotonin (happy drugs) that have you feeling great all day. I had the wrap on Thursday morning at 9am and did not work out after; I went straight to work. Yet, despite not working out at the gym, I gradually felt the warmth in my muscles and tiny soreness that comes from a good sweat session on the elliptical. Could this really be from the wrap? I felt energized all day, and actually skipped my normal coffee break around 3pm. I really felt like I was riding the high (a runner’s high, if you will) throughout the day! When I got home from work at 9:30pm, I felt so good I decided to do a mini workout before bed, and squeezed in about 35 minutes on the elliptical (and 10 minutes of speed-walking, but that’s minor) at the community gym. This morning I woke up just as energized and enthused, and while I didn’t expect to see the scale drop 5 lbs overnight, I was shocked (and pleasantly surprised) to see that I went from 132.6 to 131.8 overnight. While I’m not contributing the loss to the wrap as a whole, I can definitely say the infrared wrap had a positive effect. At the minimum, the heat and spa-setting did wonders for my mental state. At the maximum and best case scenario, it worked just as it said it would, burning between 900 to 1,400 calories and it directly contributed to my overnight drop of 0.8 lbs. Either way, I will definitely do another one. On that note… it’s time for a snack! Bon appetit, my friends! Uh oh. It’s that time of year again. I’m just six weeks away from my birthday, and the nudging voice inside my mind has begun its annual bleating. This is the time of year I normally commit to a rigorous exercise regime, an über strict diet, and a nearly fanatic pursuit of the “ideal body” to flaunt on my birthday. I’ll be turning 31 this year. Yikes. The years have flown by, haven’t they? Last year, I was at the lowest weight of my [adult] life on my birthday: 123.8. This year, I’m sitting around 132-134 (I haven’t weight myself in over a month, so I’m not sure) and I feel good. Yes, I’d like to get rid of the pooch of my waist and the chub on my thighs, but I feel strong, well-rested, and self-secure. Since quitting my second job in mid-April, I’ve spent the last two months focusing on repairing my health from the ill effects of sleep deprivation, and I’ve finally reached a point where I feel my body has gained balance. I feel like I’m repaired, though not fully 100% just yet. The scars are healing nicely, though. Even though the alarms in the back of my mind are sounding, I’m choosing to ignore them this year. If I weigh 120 or 140 on my birthday will not matter: what matters is spending the day with the people I love, and celebrating a life being lived to the fullest.